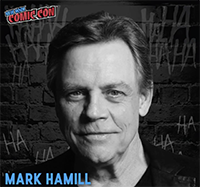 Just announced via Twitter, Mark Hamill is retiring from the autograph convention circuit (in the U.S.) and this year’s New York Comic Con will be the last place you’ll be able to get it! 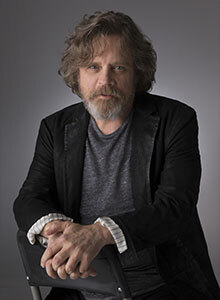 At what comes as no great surprise, ReedPop has announced that Mark Hamill will official be attending Star Wars Celebration Europe. He will be hosting various panels and signing autographs over the course of event. Star Wars Celebration Europe runs from July 15-19, 2016 at the ExCel London Exhibition Centr. Friday and Sunday single day tickets are still available. Can’t attend? Visit crowdrise.com/forceforchange to learn how you can win tickets for two to attend and meet Mark himself! According to Mark Hamill in an interview with Yahoo, BB-8 aka ” the Ball Droid”, the small droid is not CGI (computer generated imagery)* but “a live prop”. All the more reason to like the little guy/girl. Head on over to read more including his reaction to the teaser and is thought on the sequel in general. There’s no doubt that there will be a CGI version at some point in the film(s) but having a physical model will surely help “ground” the actors in the scenes.